Familiar, perhaps, every PC user MS Word text editor is used to create, view and edit already created documents. Plus it helps you can insert images, tables, charts. 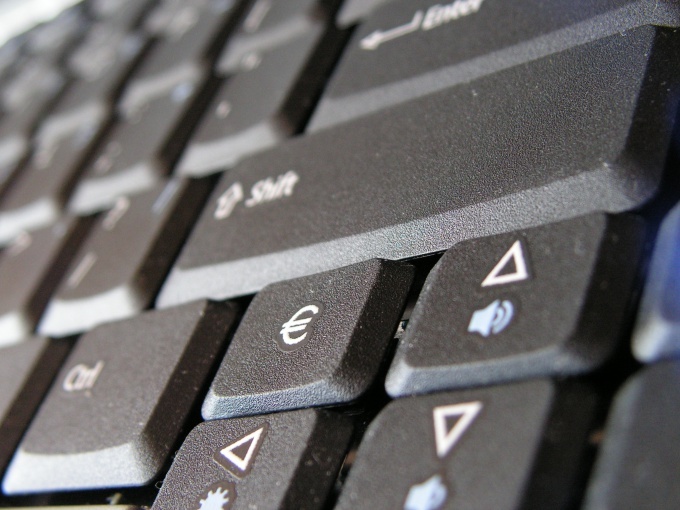 The advantages of a Word lies in the simplicity of its use, but often when you work with toolbars and formatting for beginners there are questions. One of them: as a vertical sheet to make a horizontal? Position sheet in Word called landscape and portrait. The first involves a horizontal, second is vertical. 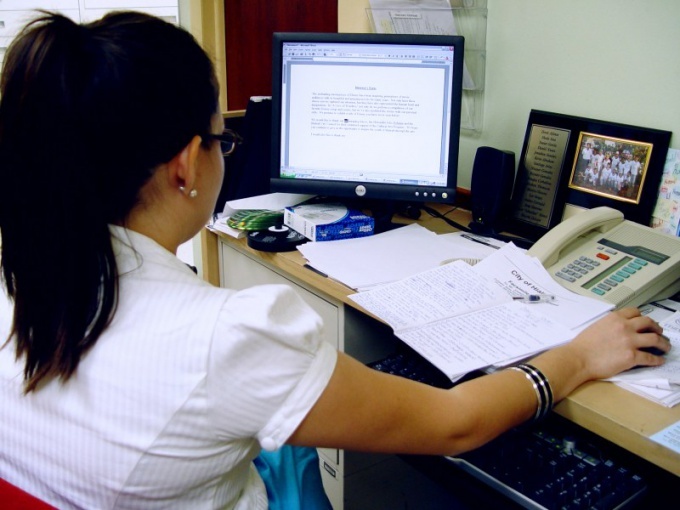 To flip the sheet, you need to consider the features of Microsoft Word of different versions. For example, according to the website www.computerhom.ruif you are working in Word 2003, the sequence of actions is the following: "File" – "Settings" – "Fields" – "Landscape" – approx. The above actions contribute to the change in the orientation of the pages throughout the document. In order to flip the tiles only in one part, select them. Then proceed according to the scheme, but selecting the desired orientation in the Fields tab, specify the path of application "To the selected text" - OK. 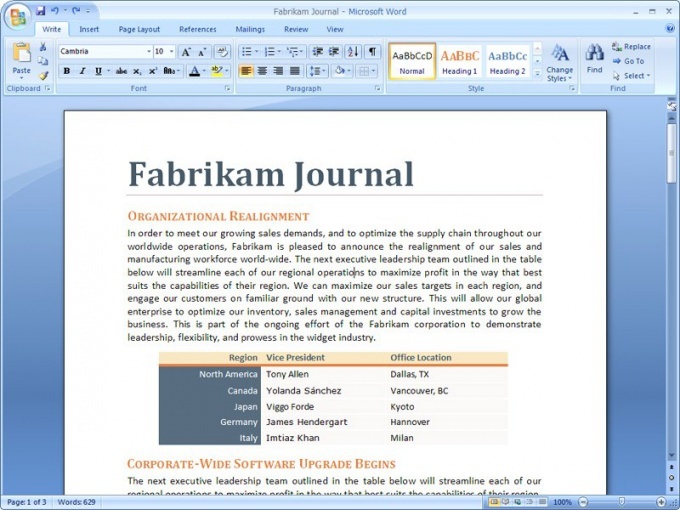 In a text editor Microsoft Office Word 2007 (2010) to change the orientation of the sheet is even easier. Select in the menu bar, the tab "page Layout", then "Orientation". This opens a window where you can select Portrait or Landscape. If the orientation changes in Microsoft Office Word 2007 (2010) you need only a few paragraphs from the page, the selected fragment will be placed on a separate sheet. Follow the algorithm: "page Layout ("page Layout")- "Settings" - "Fields" - "Custom fields". Then on the margins tab, select Portrait or Landscape. After that in the list "Apply", click "selected text". Note that fragment before and after it will automatically shows the section breaks. Maybe your document is already divided into corresponding parts. Then select the desired partition and change the orientation only in them. Changing the location of pages entails a change of skins, and collections of ready-made pages in accordance with the last selected orientation. The document's page orientation in which width is greater than height, is called "landscape" or "landscape". Generally in all text editors when you create a new default document uses a different orientation - portrait. To deploy print the page in different ways. Word processor Microsoft Office Word. If you use to work with the document word processor Microsoft Office Word version 2007 or 2010, go to the tab "page Layout" in the menu. In the group of commands "page setup", expand the drop-down list of "Orientation", select "Landscape". Microsoft Word 2010 has the option to change the page orientation before sending a document to the printer. Expand the menu by clicking the blue button labeled "File" select "Print". In the right side of the window you will see two frames, one of which is placed the picture of the preview of the printed pages and the other lists the print settings. Look at this frame drop-down list labeled "Portrait" and change it to "Landscape". Another way to specify landscape orientation is to use the dialogue with detailed settings page. To access the dialog in Word 2007 and 2010 open the drop-down list "Field" - it is placed to the left of described in the first step the button "Orientation". Select the bottom line of the list "Custom fields". To call this dialog in Word 2003 should open the menu "File" and select "page setup". On the tab "Fields" in the section "Orientation" select "landscape." At the bottom of this tab, next to "Apply" placed a dropdown list which by default is set to "entire document". In addition to this item, in the list there is a line "end of document" - use it to specify different pages of a single document of different orientation. To change the orientation of the printed document and in the printer settings. To do this, open the printer driver window, click on the link "printer Properties" in the send dialog to print. Looks this window is different in different models of printing devices. For example, in the driver laser printer Canon to enable landscape orientation, it is necessary to put a mark in the field "album" to open the default tab. By default, when you launch the text editor Microsoft Office Word creates a blank sheet in A4 format with portrait orientation. To change the page settings, you need to contact tools applications. Run the program and create a new document or open to edit an existing one. Go to the tab "page Layout". If the toolbar is not displayed, move the mouse cursor to the visible part of the pane and click the right mouse button. In the context menu select "Minimize the ribbon" and remove the marker. In the "page setup" click on thumbnail "Orientation". In the drop-down menu, click the left mouse button on the item "Landscape". The sheet will be rotated 90 degrees. Use "Fields" to set the correct placement of text on the page. To change the page orientation, you can call the dialog box "page setup". Being on the tab "page Layout", click on the arrow button in the row block name. In the opened window the active tab to the "Field". In the group "Orientation" select the thumbnail labeled "Landscape" by clicking on it with the left mouse button. In the "Sample" page layout will change according to the selected option. Please note on the "Apply" drop-down list in the same group as "Sample". Here you can specify whether to apply landscape orientation to the entire document or only to the fact sheet, which you are currently editing text. After you set the new settings, apply them to the document by clicking on the OK button. Dialog box "page setup" will automatically close. If you need to see how it will look printed sheet with your data, not just the layout, use the preview function. Click on the Office button in the upper left corner of the window. From the menu "Print" select "print preview". Opens the thumbnail of your document. In playback mode you can also change the orientation. The tools are in the "page setup".